Todd Broadhurst is Senior Director of Global Services and Solutions at Hitachi Vantara Federal. With more than 20 years of experience, Todd is known for his well-rounded background in both the commercial and federal marketplace. His in-depth knowledge with systems architecture, storage area networks, sales, delivery and customer support play a critical role in his day-to-day leadership overseeing the companies 25+ IP and FC consultants. 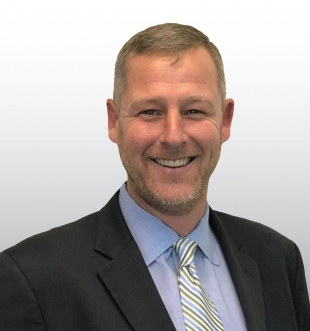 Todd is responsible for managing all aspects of Hitachi Vantara Federal’s professional service sales and delivery as well as providing consultative collaboration with the company’s sales organization, partners and customers across all aspects of the federal government. Prior to joining Hitachi Vantara Federal, Todd served as Division Solutions Architect at Hitachi Vantara Federal’s parent company Hitachi Data Systems, now Hitachi Vantara. There he oversaw all strategic activities including analytics, cloud onboarding, big data pursuits, managed services, optimization, consulting and new logo acquisitions. Earlier in his career he held a variety of other leadership roles including Strategic Pursuit Architect at Hitachi Data Systems, Professional Services Sales Manager at Brocade and Client Delivery Executive at Novus Consulting Group. Todd earned his Bachelor of Science degree in criminal justice and psychology from Radford University.